When thinking about what to put on your website ALWAYS PUT THE USER FIRST! It features testimonials and reviews, photographs or work (and videos), pages that describe what services are offered, useful blog posts to help people out if they”re looking for an expert advisor and more. Not only this but in terms of SEO it builds on TRUST. If you satisfy this element for the user then the search engine falls into place right behind it. We’ve not mentioned page load speed but this comes under the User Experience, this and other tweaks that you can make to your website (which should always be for the User Experience) will then translate into good on page SEO. The only thing that is missing really is schema markup which IS for search engines but then results in better search results in Google so again this is helping the overall User Experience. People overcomplicate things when it comes to SEO for their carpet cleaning business. Just think like your users, create a trusted and useful experience for the user journey and try to eliminate any frustration points they may experience. Local SEO differs from nationally targeted SEO because your target audience is local and local people would not necessarily benefit from you talking about how to get a stain out of carpet. After all if this is what they are looking for they’re probably not going to hire you to do it for them unless you can convince them otherwise. On the other hand if you have an obscure business you need to be publishing content that will inform and educate them so they are introduced into your sales funnel. Some local SEO just needs more landing pages for locations within your target city for each of your services, in the case of carpet cleaning this is the best way to approach getting more traffic to your site which converts (speaking from an organic SEO perspective only). Content marketing WILL result in more traffic but probably less conversions. The key take away is to know your customers and the why & how of their contact with your business. If you need to take a content marketing approach then do that, otherwise hit them with useful pages that target their local town and service requirement i.e. 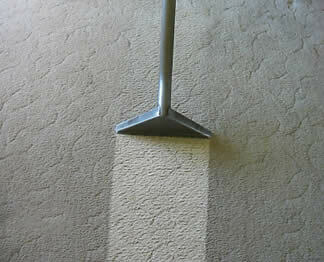 sofa cleaning in Birkenhead. Be a big fish in a little pond and your phone will ring all day long. If you are interested in video production Liverpool then stop searching. We’re currently looking at just this topic and we’ve been in touch with the fantastic guys at Zut Media who are just simply video production Gods and also based not too far away in Liverpool (they also have an office in Manchester (video production Manchester) but we’re closer to the Liverpool office. 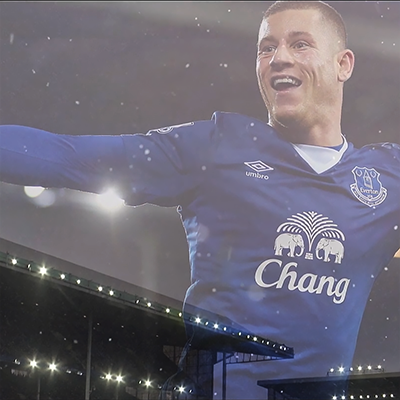 They’ve done video for the likes of EFC, LFC and Betfred to say the least. You really should check out their impressive portfolio. If you want video marketing then an impressive client list is always something that catches the eye especially when you’ve seen their video before and now you realise you are speaking to the actual people who made it happen. Often it is said that video production is the bringing to life of a vision, after all a vision is personal and not something else can see so to be able to actualise this really is a gift that not everybody has. Of course, most people have access to video editing equipment these days, most phones come with such software and there is even video production software that comes with Microsoft but this is the equivalent of saying that because you own a football you can be a professional footballer. It just isn’t the case. Being able to use a professional tool in a professional manner but backing it up with the creative genius required to come up with the goods is not something that just anybody with an app or bit of free software can do easily if at all. No, the only real way to get great video production results is to check out who does it best and Zut Media get our vote every single time. Sure, there are other local video production companies and their websites look slick until you see their videos – they’re good no two ways about it but beauty lies within the eye of the beholder and we just knew that when it comes time for Yellow Search to start our live streaming sessions we needed a local Liverpool video production company that could handle anything that we asked them to do and more besides. Zut can do it all, from pre production, post production, the editing, live streaming, animation the whole nine yards and this is exactly what we need. We’d like a video that incorporates some animation along with normal video that captures what we aim our company to be about – realise our vision if you will – and we hope that Zut are just the company that will allow us to do just that. If you’re on this page it means you’ve probably searched for “SEO Salford” or something similar. It stands for Search Engine Optimisation and this is the SEO Salford page on Yellow Search. SEO is the process of optimisation of a web property to make it more visible in the SERP (Search Engine Results Page). Search Engines are smart, they are full of buyers looking for your business and by telling them exactly what your business is all about and how they can benefit from your products or services we can utilise them to match these buyers to your business. The question is how do you do it? Well SEO is a part of Internet or Digital Marketing and it is still the biggest form of driving people to your website when looking for a product or service similar to your own business. Search Engine Optimisation has evolved massively over the years. It’s no longer about being the biggest, but it has always been about being the best. The best answers for the questions being asked. The thing is everybody wants to be at the top of the Search Engines such as Google – but for what? Which “keyword”, do you mean your brand? Your service? Your product? Keyword research is the crucial element of SEO that cannot be ignored, great on page and User Experience is key too. Google has gone on record to say that backlinks still are the biggest ranking factor on any website. Content is king, no doubt, but by branding your business correctly and promoting what you do those backlinks are kept in line with the Google guidelines and you shouldn’t worry too much about getting hit with a Google penalty. The best way to approach this literally is to forget about please Google and become user-centric. Focus on pleasing your visitors and potential customers and the links will naturally come. SEO is critical for the success of your business whether you are in the business of Real Estate, Law or any other profession. Look at the following and what do you see? These are known as “keywords” and they are examples of what can be typed into search engines such as Google, YouTube – yes YouTube is a search engine too. By appearing nearer to the top of any search engine you are more likely to get clicks by the searcher. 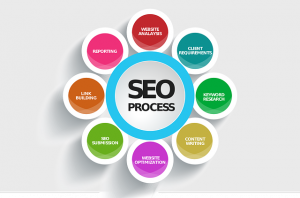 They are the target of SEO Consultant Graham who is a local SEO professional. This means one thing – that if you pick the correct keywords then you will potentially land more leads, more customers and more targeted traffic to your website and therefore increase the likelihood of success for your business. When it comes to law you need to attract clicks from people who are specifically looking for you service, if you are a real estate agent then the clicks can either go to your specific property pages or perhaps to the area page that covers the searchers local (or intended) search area such as Liverpool for example. This is nothing new and I’m sure that you’ve heard of keywords before BUT the critical thing is getting them correct, if you pick the wrong keywords then you will struggle to land another client from organic search purely because you picked the wrong direction to take your marketing in – it’s the same as advertising yourself as a butchers shop but selling clothes – the product or service that you sell must match the intention behind the people you want to attract. SEO professionals have many ways to find these keywords and you really shouldn’t guess at them yourself. Everything is data driven when it comes to measurement and analysis including the user intent and volumes attached to the keywords that you will end up targeting. There are different types of keywords too, short, medium and long tail. Do you know the difference? If not then you need to get an SEO who does, try clicking one of the links above and asking the person at the other end for advice. This has been a guest blog by Graham. You can find out more about what I offer by clicking the links above.